Winter is coming! 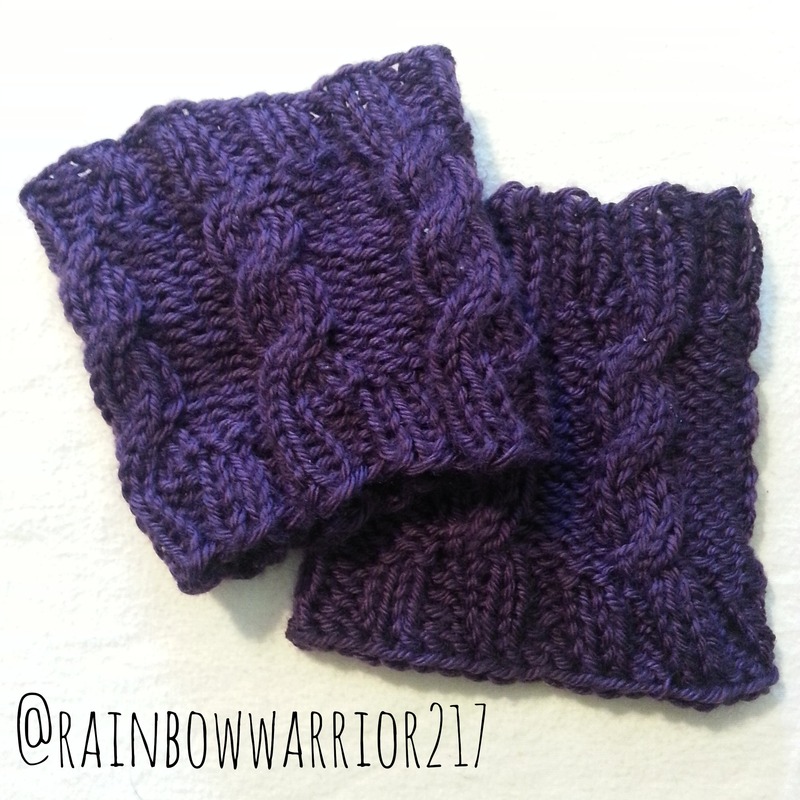 Boot cuffs are great for the colder seasons. I love the look of cables and this pattern is very simple to create. This is a great project for a beginner! 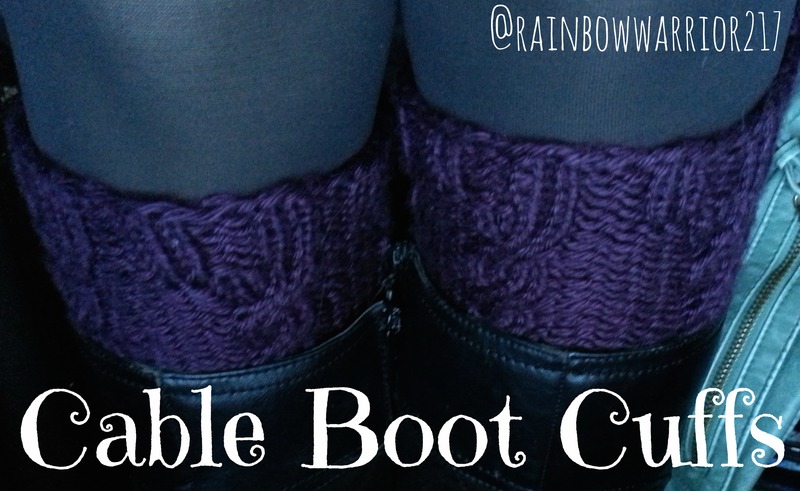 Pattern Notes: My calves measure 14 inches around so these boot cuffs do stretch when worn. 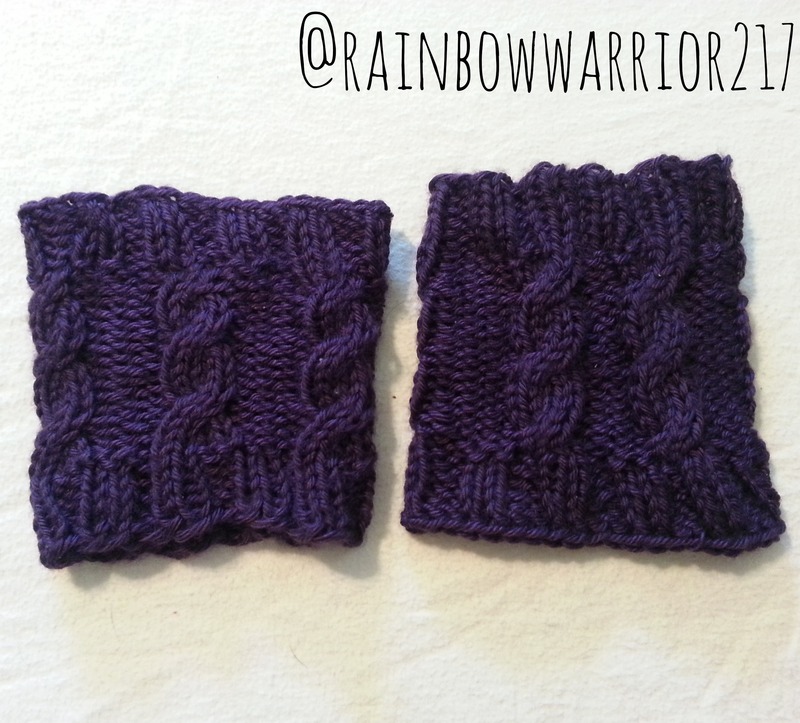 Please adjust the number of stitches to the size boot cuffs you need. This pattern consists of a stitch count with a multiple of 8. Loosely CO 40 stitches. Join the round & place stitch marker. Continue rounds 1-6 for desired length. Pull yarn through & sew in ends. Make a second boot cuff the same way. Pattern Notes: Adjust the number of stitches based on multiples of 8. If your stitches can not fit all the way around the circular needles, this pattern can be knit on straight. You will knit to add 1 knit stitch to each end of your rows so that you can seam up the cuffs at the end. No problem I am glad you were able to figure it out!